American-Italian descent. Father born in Italy. 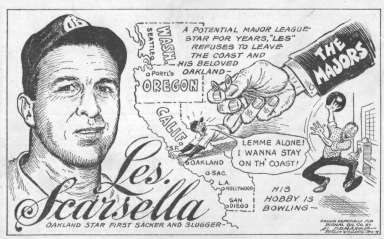 Les was born in Santa Cruz, California, November 23, 1913. Attended high school in Richmond, California. 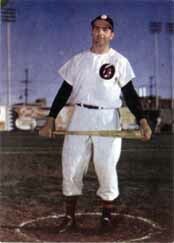 Attended St. Mary's College three weeks, which was long enough to become a collegiate baseball star. Signed his first contract with Prof. Chas. E. Chapman, head of History Dept. of U.C. and Cincinnati scout. 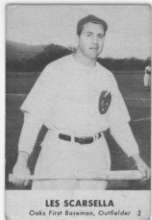 Professional experience: 1934-35, Wilmington, Piedmont League; 1936, Toronto, International League; 1937, Cincinnati, National League; 1938, Newark, International League; 1939, Cincinnati; 1940, Boston; 1941 and part of 1942, Seattle, PCL; part of 1943-44-45-46, Oakland, PCL. across the street from the ball park.